On 6th December, US President Donald Trump declared the US government’s official recognition of Jerusalem as Israel’s capital, in addition to announcing administrative arrangements for the transfer of the US embassy from Tel Aviv to Jerusalem. In spite of his unilateral move, the US president added that he was still determined to resolve the Israeli-Palestinian conflict, and called on the region to take his message calmly. His declaration wasn’t received all that calmly in the region though. Following Trump’s announcement, demonstrations and protests took place in many Arab capitals and in many Muslim countries, against his decision on Jerusalem and in support of the Palestinians. In the Palestinian territories the declaration inflamed tensions, triggering anger and protests which often led to violent confrontations between Palestinian demonstrators and the Israeli Security Forces and caused a number of casualties among Palestinians. Following the UN Partition Plan, the UN General Assembly Resolution 181 of 1947 granted Jerusalem a separate international status, also in view of the importance of Jerusalem to the followers of the three great monotheistic religions as it includes sites holy to Muslims, Jews, and Christians. The eastern sector of Jerusalem was captured by Israel in the 1967 Six Days War and annexed to Israel: however, according to international law, East Jerusalem has been occupied since 1967 and the status of the city should be resolved in negotiations. Before the US’ recent announcement, no country has recognized Jerusalem as the capital of Israel. Moreover, Palestinians have declared East Jerusalem (the territory east of the 1948 armistice or green line) the capital of their future Palestinian State. Trump’s move over Jerusalem has not just upset the Palestinians and their hope for a future Palestinian state, but also sixty years of international diplomacy. Most countries view the status of Jerusalem as an extremely complex and sensitive issue to be settled in an eventual Israeli-Palestinian peace agreement. With his recent decision Trump has triggered condemnations from around the world, and not just by Arab and Muslim governments. Since the announcement, tension has been high in the Palestinian territories, with Palestinian militant group Hamas accusing Trump of a “flagrant aggression against the Palestinian people”. Both the Palestinian Authority and Hamas have been calling for protests and days of rage. 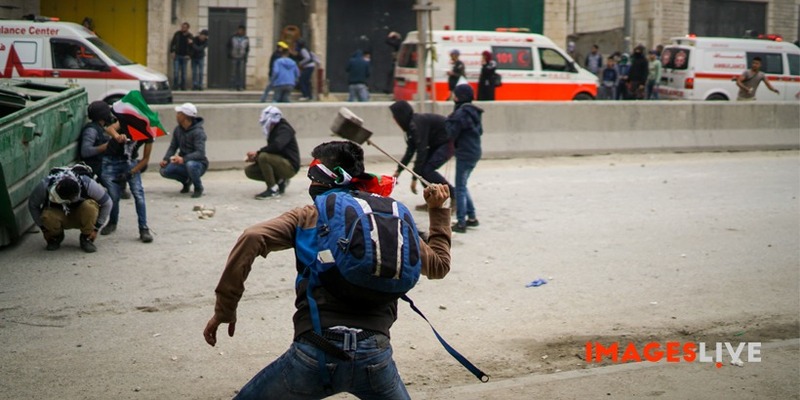 Demonstrations have erupted in the West Bank, Gaza, and East Jerusalem. Many protests have taken place after the Friday noon prayers, leading to violent clashes between the Palestinian demonstrators and the Israeli soldiers, and causing several casualties among Palestinian protesters. While Palestinians across the West Bank and Gaza confronted Israeli soldiers throwing rocks and fire bombs and setting tires alight, Israeli soldiers fired tear gas, rubber and live ammunition at them. According to the Palestinian Red Crescent society, after 4 weeks of protest triggered by Trump’s announcement, fifteen Palestinian protesters have died from wounds sustained during the fierce clashes in Gaza and the West Bank, while nearly three thousand demonstrators have been injured during the confrontations. Hundreds of Palestinians have also been arrested since the protests began following the US’ recent declaration on Jerusalem.